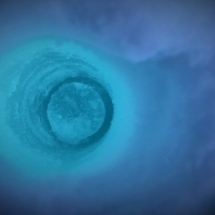 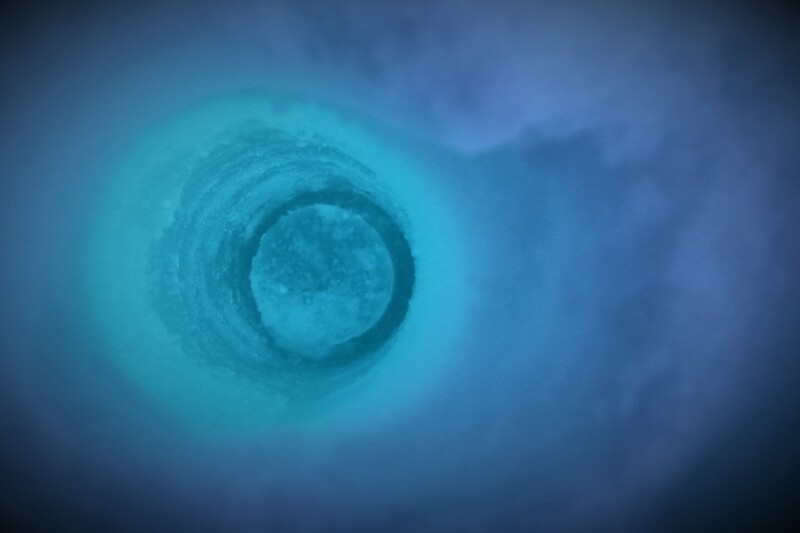 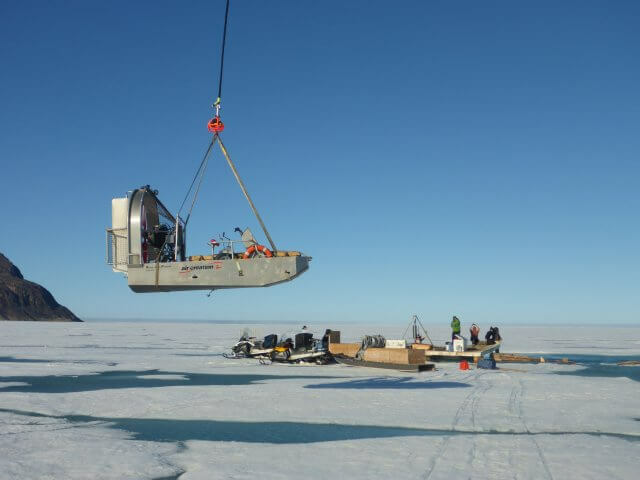 One of the major habitats GreenEdge researchers are studying is the sea-ice. 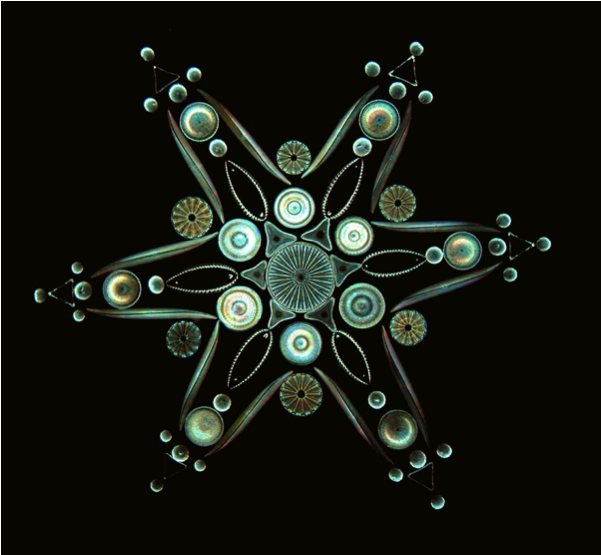 We are interested in its optical, physical and chemical features, as well as the life it supports. 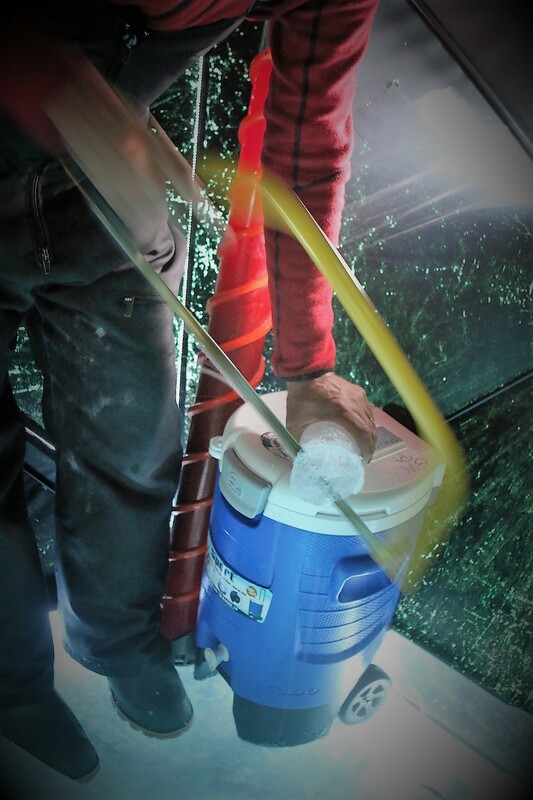 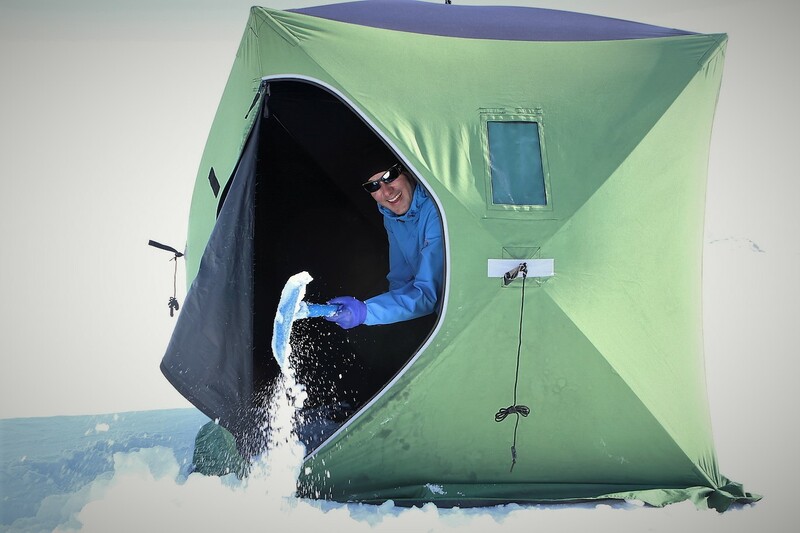 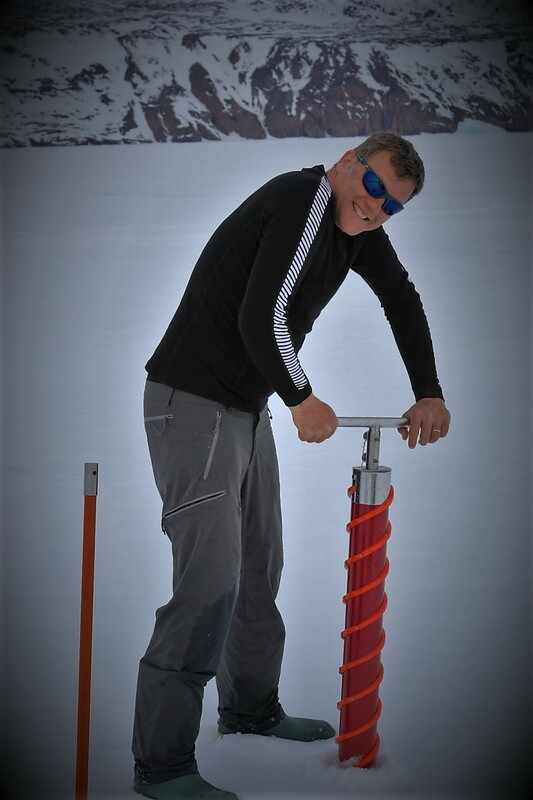 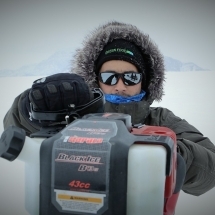 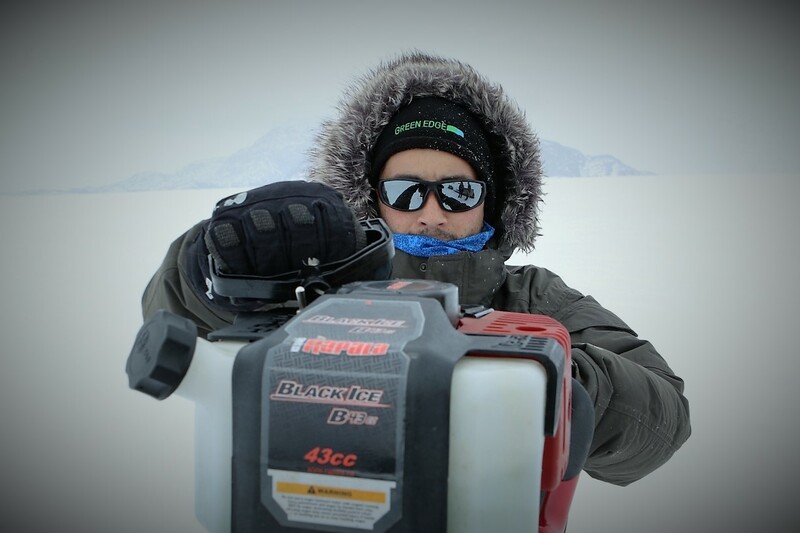 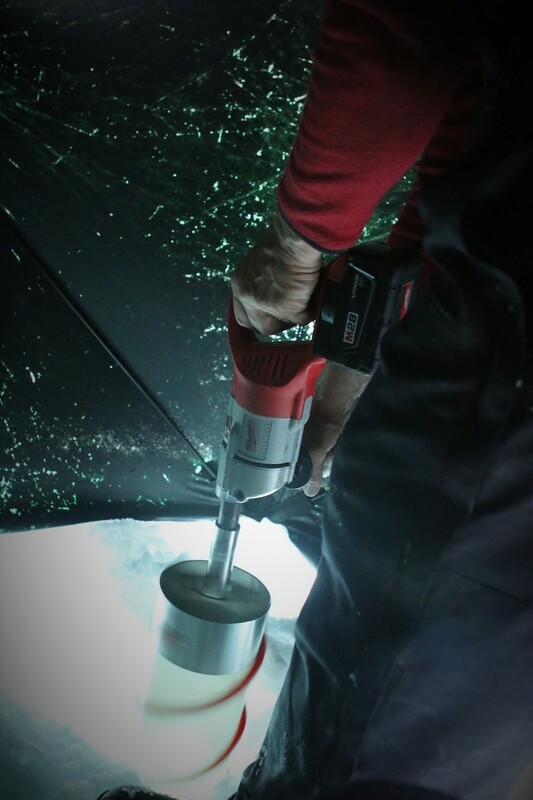 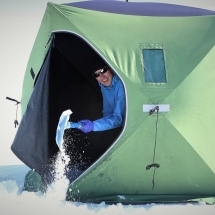 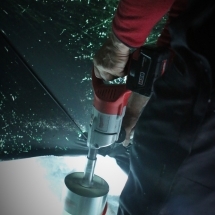 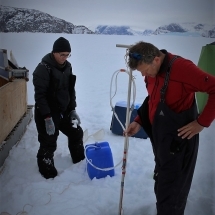 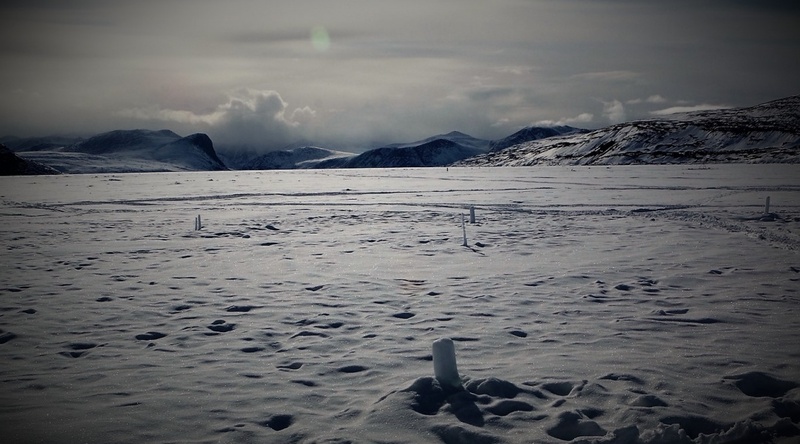 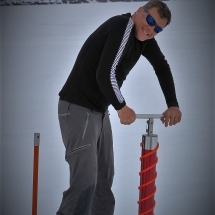 As such, one of the essential activities at the ice camp is the ice coring. 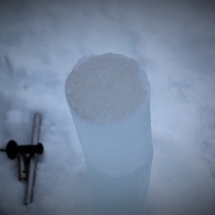 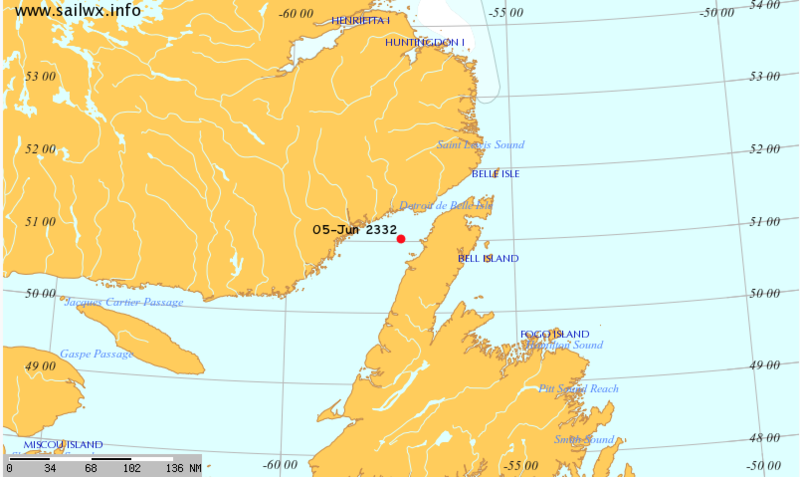 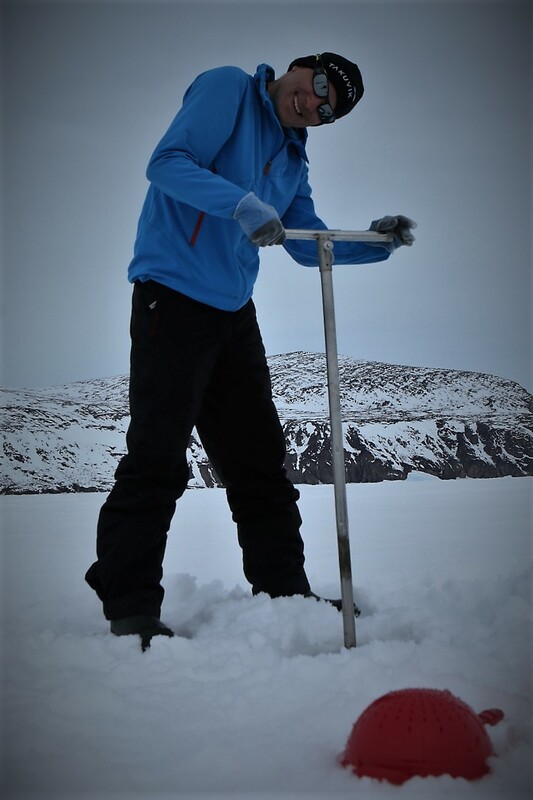 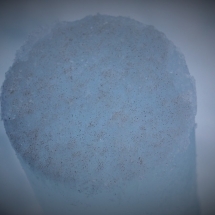 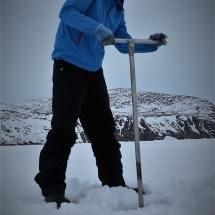 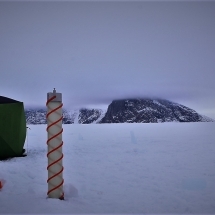 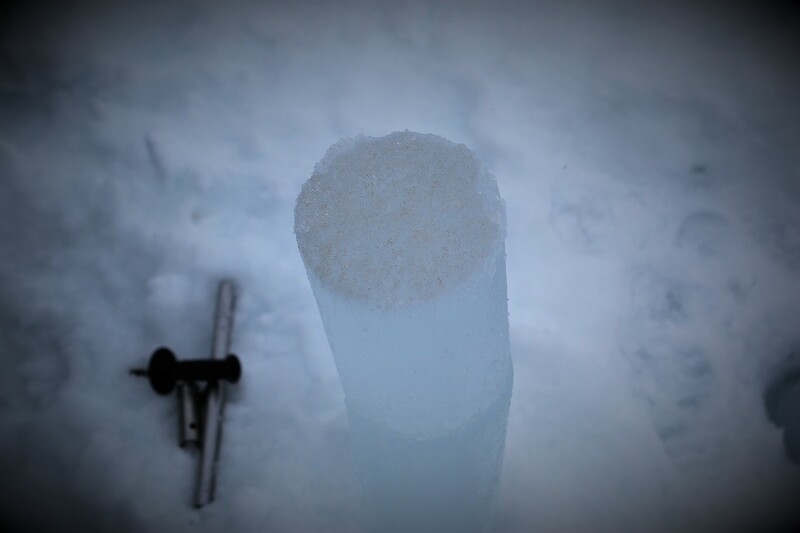 We actually spend the full morning coring the entire ice thickness (which currently varies from 1.15 m to 1.50 m at the study site) with different cores (14.5 and 9 cm diameters) for different purposes, i.e. 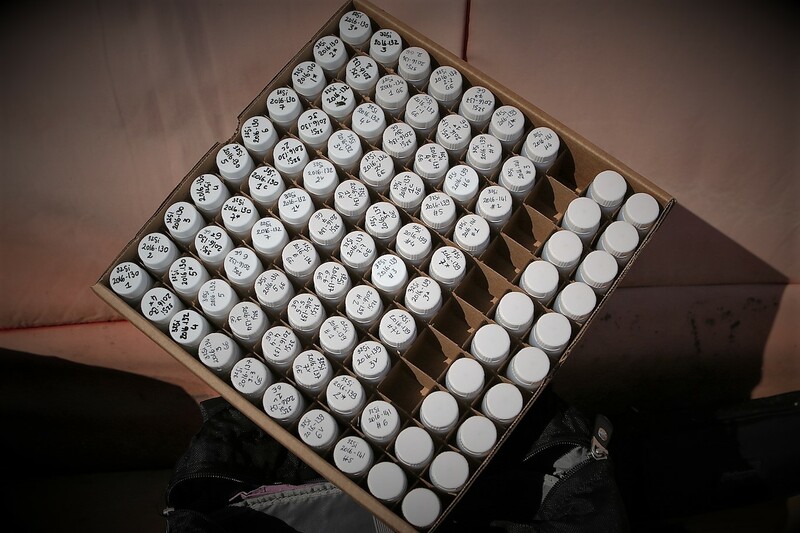 measurement of temperature and salinity gradients, nutrient content, chlorophyll a biomass, spectral properties, microbial genetic diversity, etc. 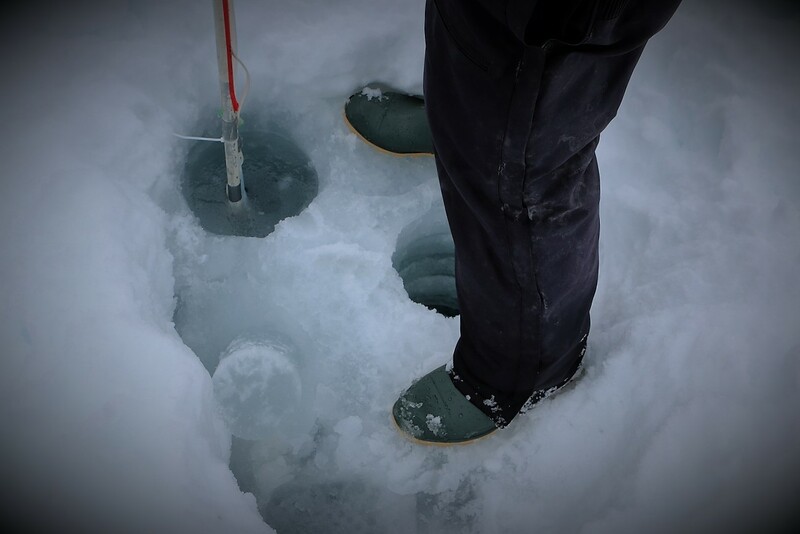 For most measurements, we are mostly interested in the bottom 10 cm of ice, the part of the ice that is directly in contact with seawater and contains the majority of the microbial life. 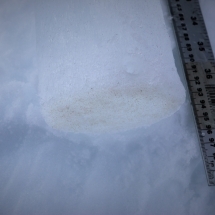 More specifically, many analytic activities focus on the very bottom centimeter of ice where most of the sea-ice microalgae live. 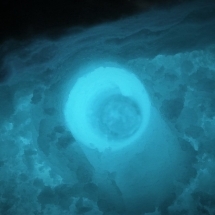 Sea-ice microalgae are unicellular organisms that can convert solar light energy into chemical energy to produce organic matter via a complex physiological process known as photosynthesis. 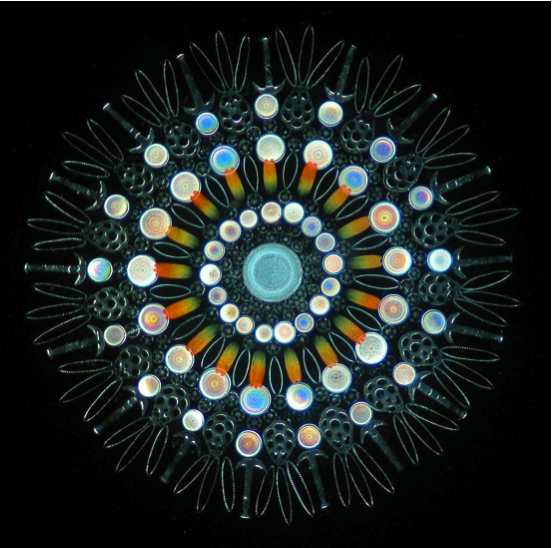 Together with the algae that live freely in the water column (‘phytoplankton’), these organisms are the so-called primary producers of the Arctic Ocean. 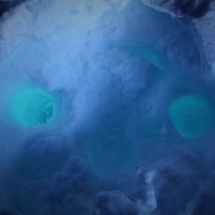 They support the entire Arctic food-web all the way up to the ultimate consumers, i.e. 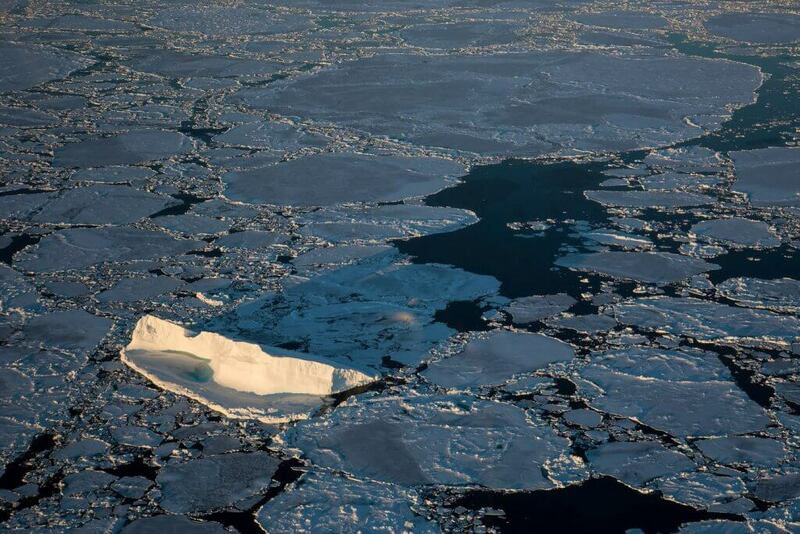 polar bears and humans. 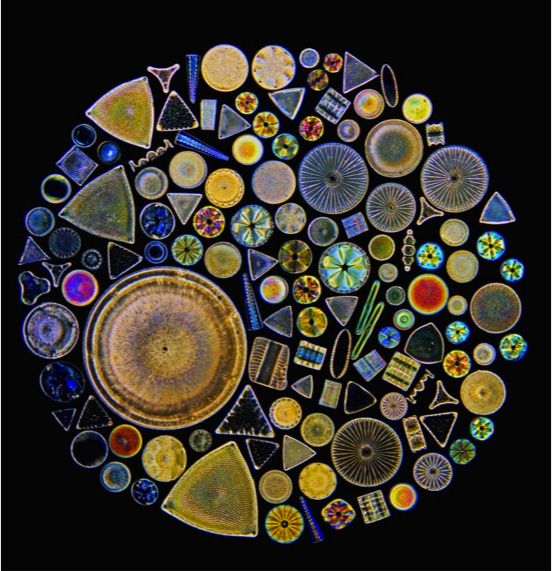 The great majority of sea-ice algae is composed of brownish microalgae named diatoms. 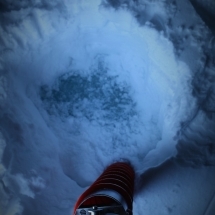 When they start to flourish (usually in May), they are so concentrated that, with the naked eye, one can observe a thin brown ring at the very bottom of the ice. 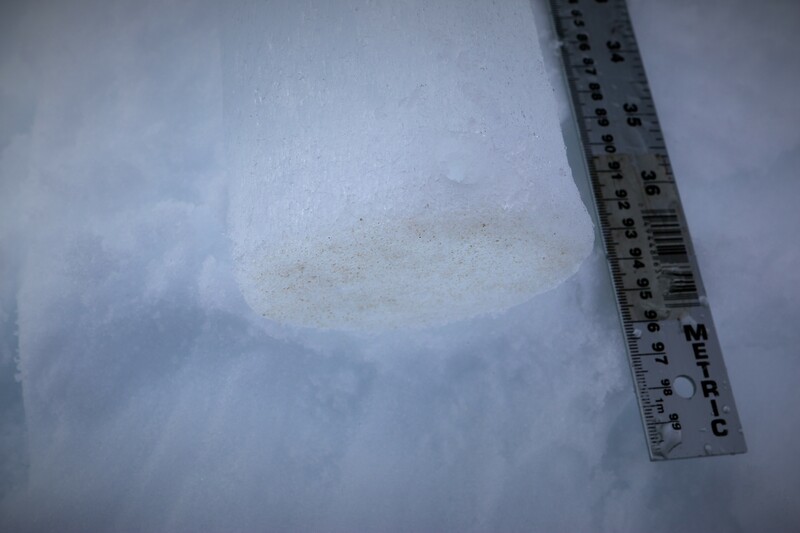 This is what we are looking for everyday at the ice camp: the brown gold of the ice core. 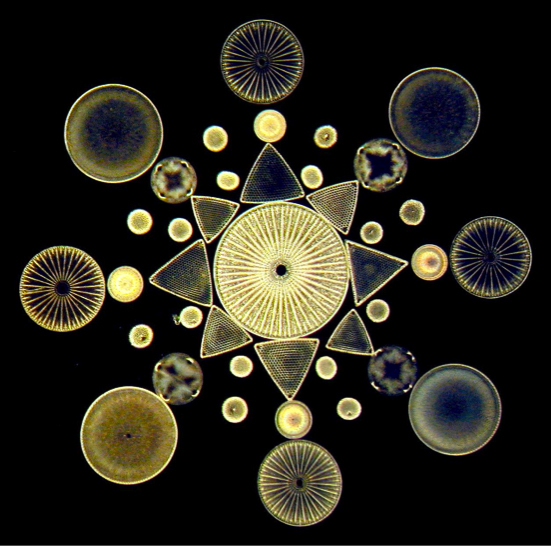 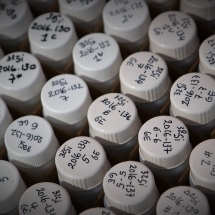 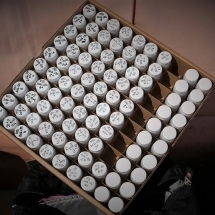 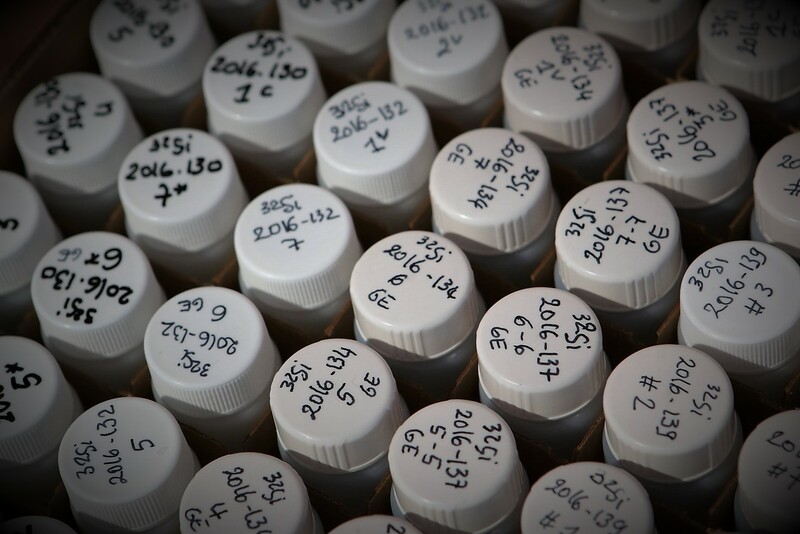 If we want to accurately analyse the biological activity of sea-ice diatoms (especially their photosynthetic activity), we need to sample them correctly. 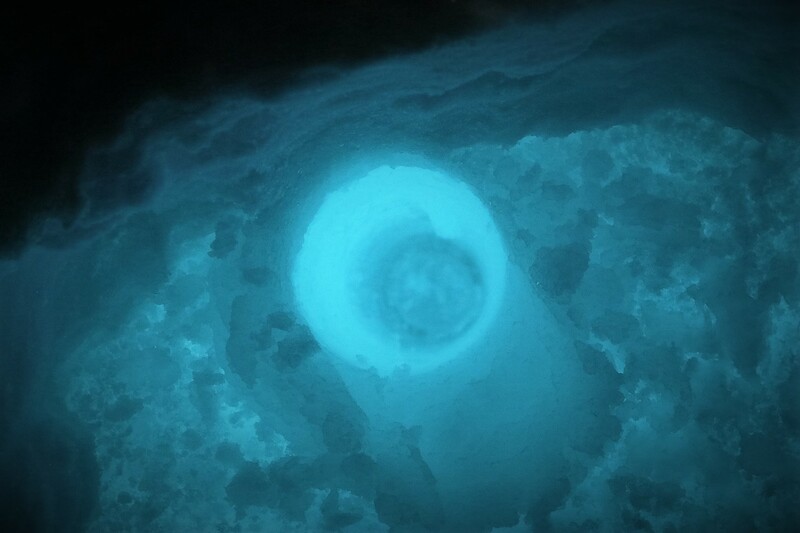 Indeed, one of the specific features of sea-ice algae is their unique ability to live and grow in an extreme low light environment, which is defined by the ice thickness and, more importantly, by the amount of snow cover on top of it. 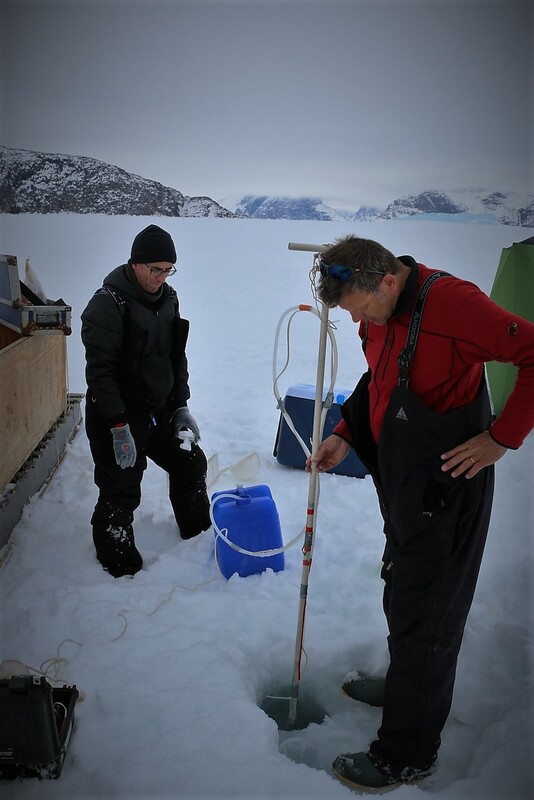 Our optical team determined that on the underside of the ice microalgae perceive only a very tiny percentage of the incident solar irradiance. 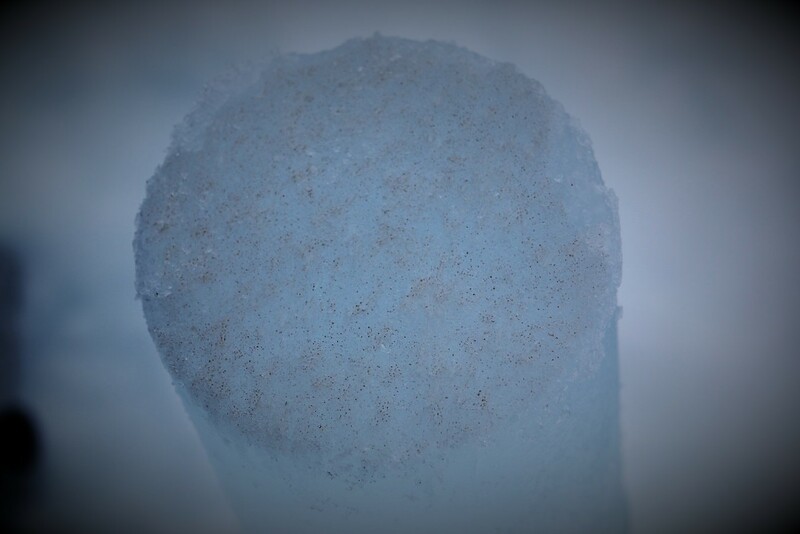 This is enough for them to survive and prosper. 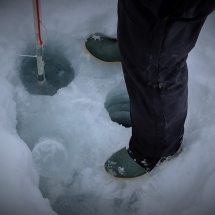 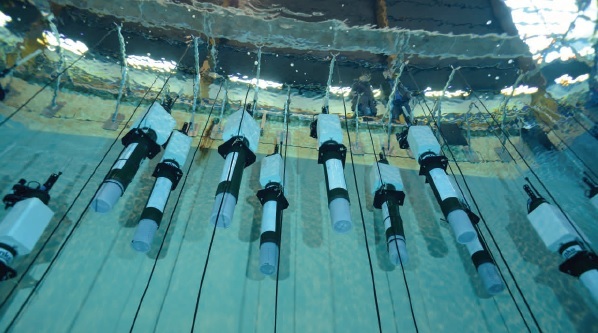 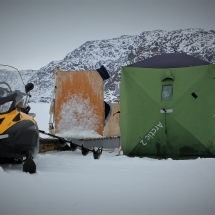 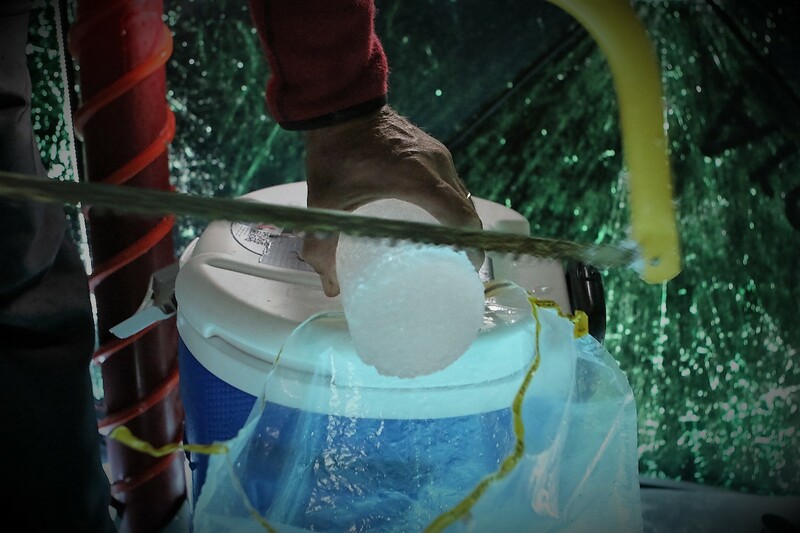 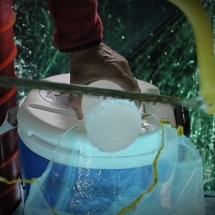 Nevertheless, it makes them difficult to sample as ideally their natural low light environment needs to be preserved during coring, harvesting the ice portion of interest, and analysis. 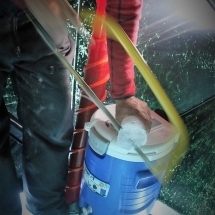 During analysis this is not really a problem, it simply requires keeping the algae in the dark inside a cooler and working in nearly full darkness, i.e. 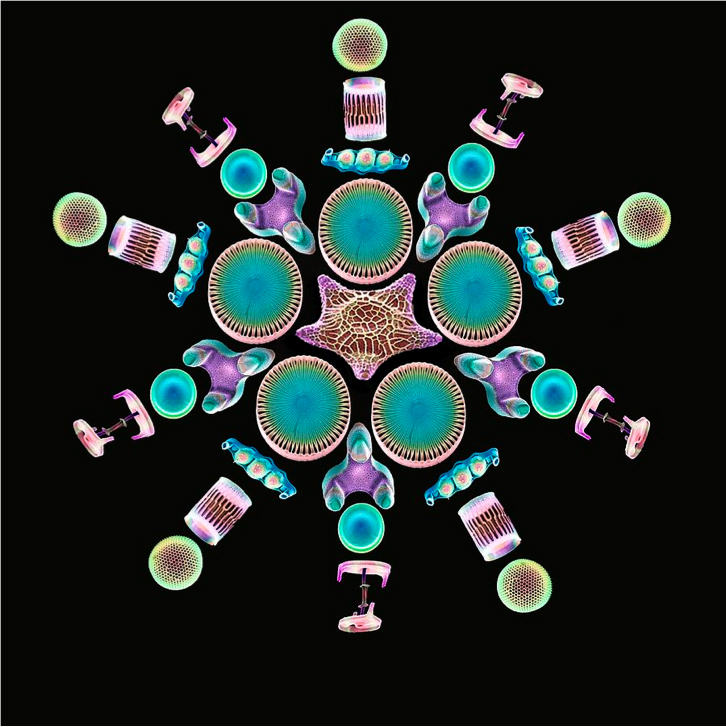 using very low energy green light. 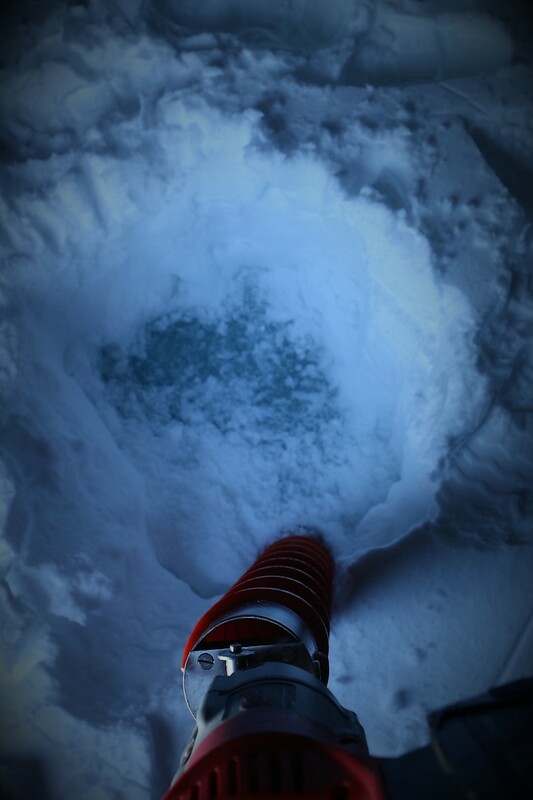 Preserving the low light environment during coring, especially with the snow-driven light reflection, is an entirely different kind of challenge. 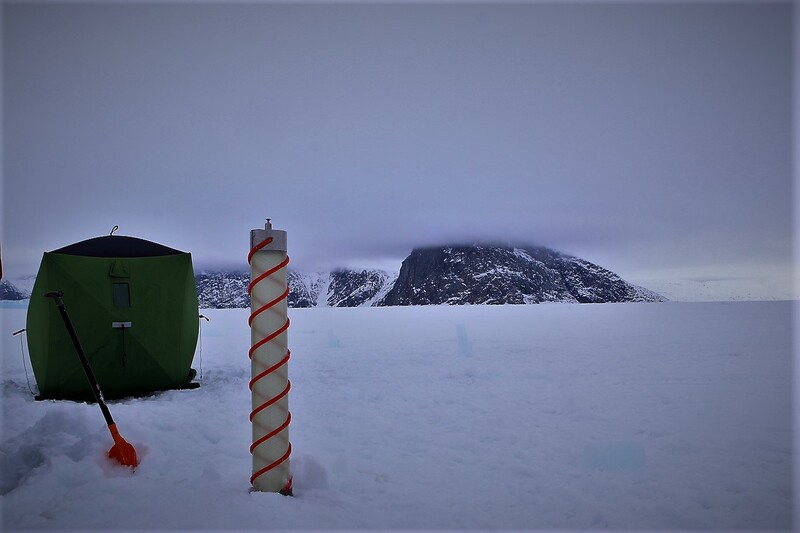 For this reason, this year, we decided to rely on local knowledge and adopt local methods: we started to core under a tent with dark inside walls. 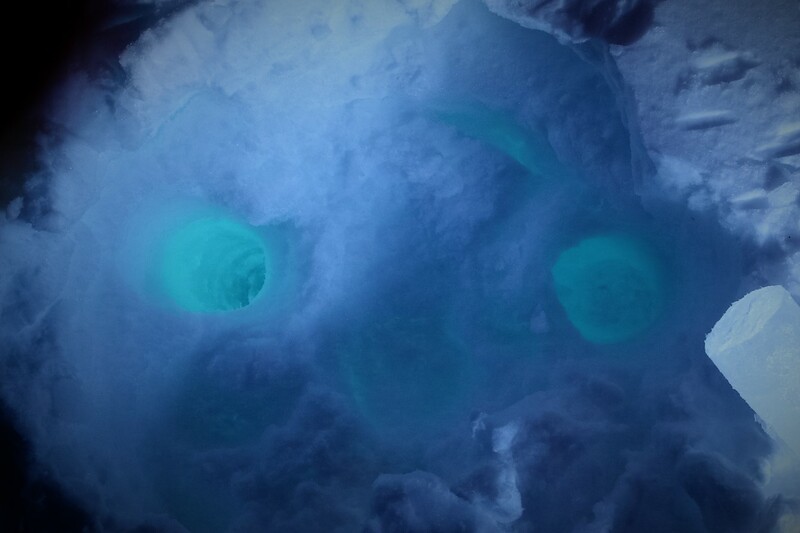 Not only did this work beyond our expectations (we could easily recognize how a high level of photosynthetic activity of sea-ice diatoms is preserved during coring and harvesting) but we also profited from the beautiful, yet unexpected, under-ice light show and observed the blue-green light environment in which sea-ice microalgae live. 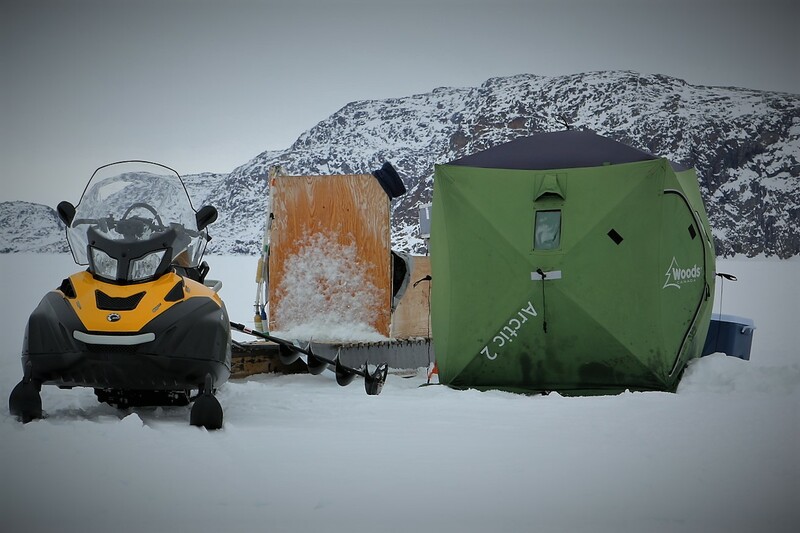 Our tent that allows us to work in dark conditions.